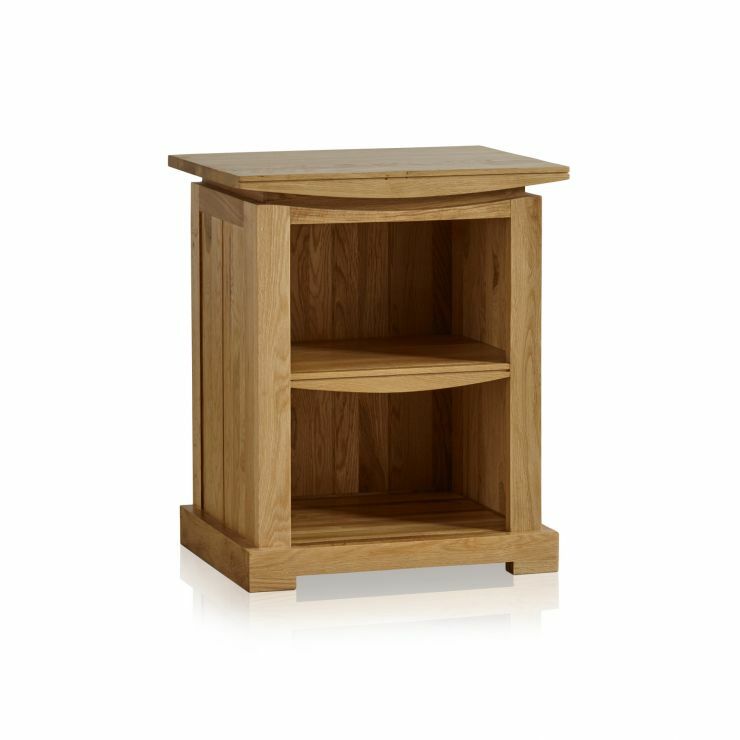 The Tokyo Natural Solid Oak Bedside Table is the ideal companion for our Tokyo Natural Solid Oak Bed, in fact - no bedroom would truly be complete without one! 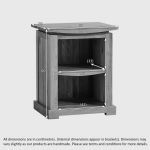 This staple piece of furniture measures in at 60cms tall, 50cms wide and 38cms deep and features the signature bowed curves and panelling that make this such a highly sought-after range. 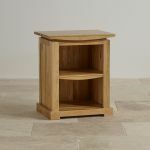 Made from one hundred percent premium grade oak throughout, it's reassuringly robust and durable and has been finished with furniture wax for a natural lustre. 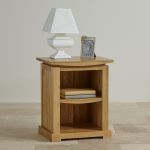 The deep shelves provide ample space for displaying books or decorative items and the polished top will effortlessly accommodate a lamp and alarm clock. 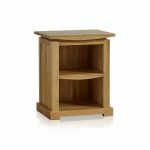 We never skimp on materials and we never use chipboard, MDF or veneers in any of our products.